Material Carbon steel: A105; A516 Gr65; RST37-2; EN10025 S235JR; C22.8 P245GH etc. Alloy stell: A182 F5,F9,F11; A350LF2; Q345, 42CrMo etc. Stainless steel: A182, F304, F316, EN10222-5 1.4541,1.4571,1.4404 etc. Standard ASME B16.5, B16.47, B16.48, B16.36, B16.9; AWWA C207; API6A,605; DIN BS4504, BS10, EN1092-1, AS2129, JIS etc. Surface Anti-rust Oiled, Black/Yellow Painting, Hot DIpped Galvanized, Zinc-plated. 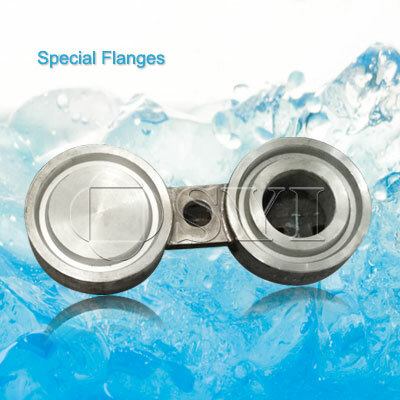 Flange facing Raised face , Flat face, Ring Joint face,etc. Package Wooden case,Cartons, Pallets or crates according to buyer’s requirements. Delivery It depend on demand quantity. Applications Steam, air, gas and oil pipes or for many other fluids.